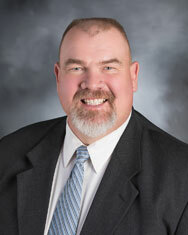 Diamond V recently welcomed John Sheets, who has joined the company as Regional Sales Manager. Sheets earned his B.S. in agriculture from Ferrum College in Virginia. He began his career as a farm manager before moving to a position at Coast Grain Company, where he managed brewers grains sales to the Anheuser-Busch brewery in Jacksonville, FL. He then joined Monsanto as a dairy sales representative and subsequently worked 10 years with Elanco as a senior sales representative. Sheets lives on his family’s farm in Moneta, VA and can be emailed at jsheets@diamondv.com. Diamond V is a leading global animal health company, conducting research in many species, and manufacturing natural, fermentation-based immune support products to promote animal health, animal performance, and food safety worldwide. Global headquarters and all manufacturing is located in Cedar Rapids, Iowa. The company’s Embria Health Sciences subsidiary in Ankeny, Iowa manufactures EpiCor®, the human nutritional supplement that provides research-proven support for immune function and gastrointestinal health. More than 75 years of science, innovation, technology, and quality have earned Diamond V the reputation of The Trusted Experts in Nutrition and Health®. Contact Diamond V at tel. +1.319.366.0745 or visit www.DiamondV.com.